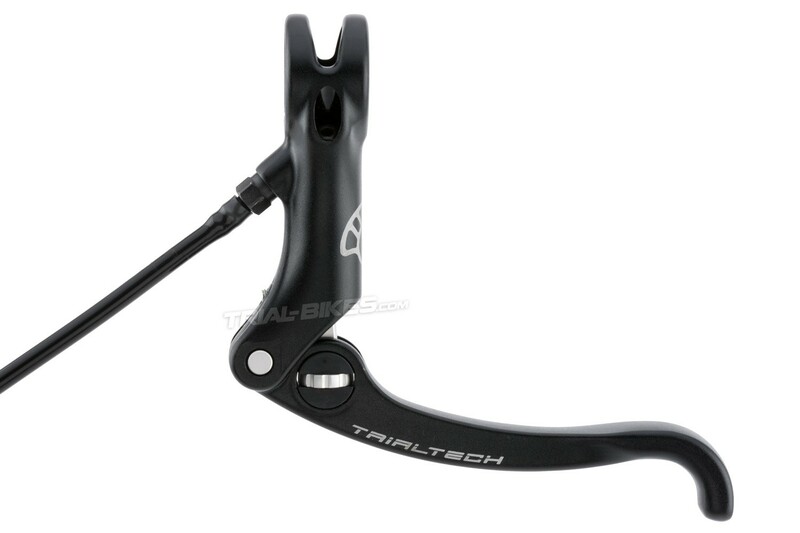 - High quality Trialtech Sport HS hydraulic rim brake. 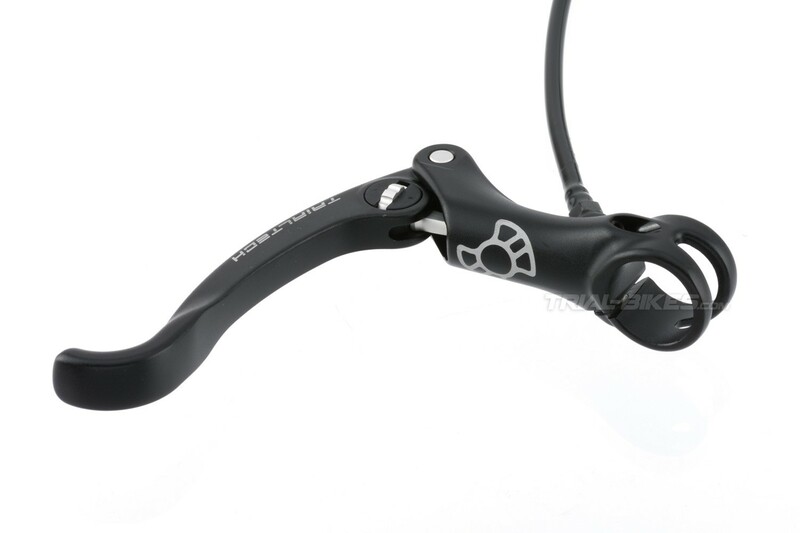 - This brake features a Trialtech Sport rim brake lever and Magura slave cylinders, and it’s been attached and professionally bled by our TrialBikes team. 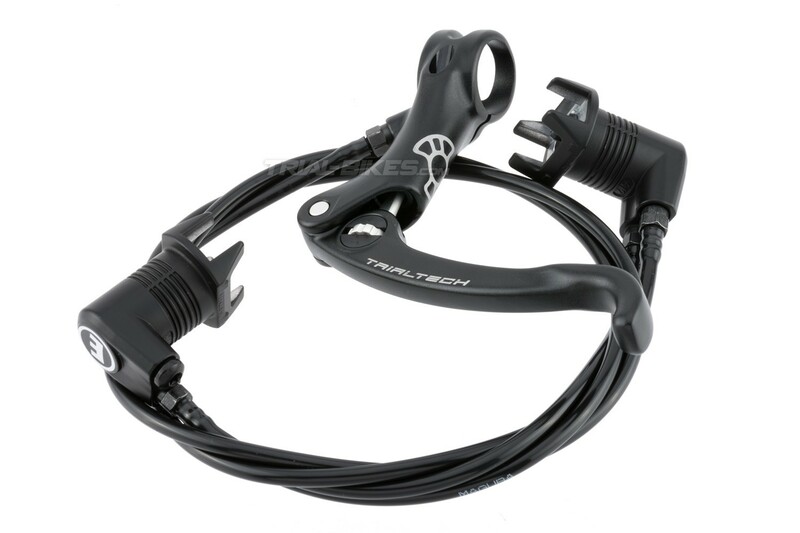 - Right Hand version comes with a 120cm long PVC hose (standard rear hose length for 20”, 24” and 26” bikes), whereas the Left Hand version is 75cm long (standard rear hose length for 20”, 24” and 26” bikes). - Includes an additional olive, so that you don’t have to re-bleed the brake when cutting down the hose. - Sold individually: 1 complete brake (does not include brake pads, clamps or cylinder washers), with 2 options: Right Hand or Left Hand, already bled with hydraulic rim brake fluid, ready for use. - Forged then CNC-machined from a single billet of high quality aluminium alloy. 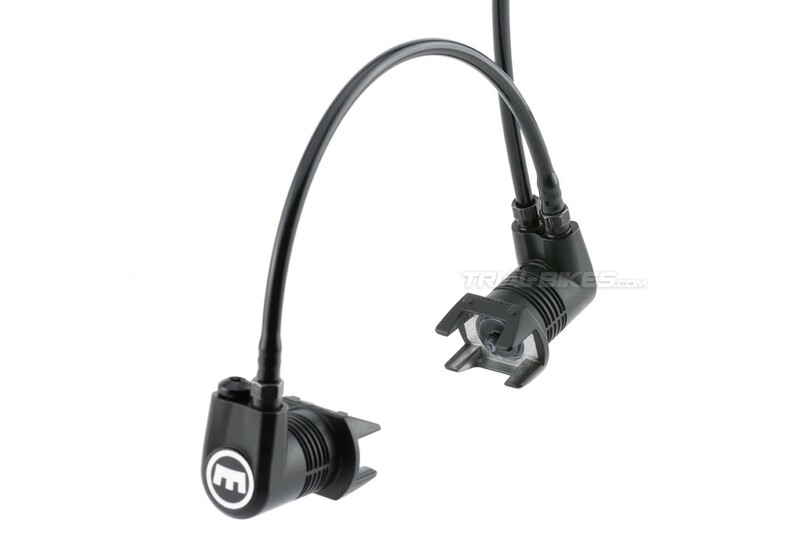 - 13mm diameter nylon piston, which allows for 16% more braking power than 14mm pistons. - The TPA wheel, pin, clamp bolt and lever pivot are made of aluminium. 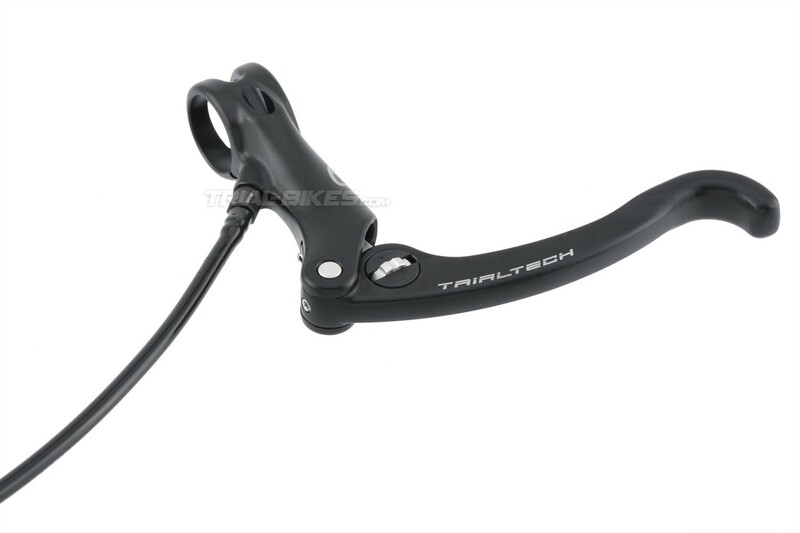 - 105mm long Trialtech lever blade, with a highly ergonomic design. - Low-profile handlebar clamp, using a custom forged bolt that is kept protected by the lever body itself. - Stainless steel fittings and connectors. - Note: this lever is not reversible. More details here. - Black lever body, black lever blade and white laser etched Trialtech graphics.